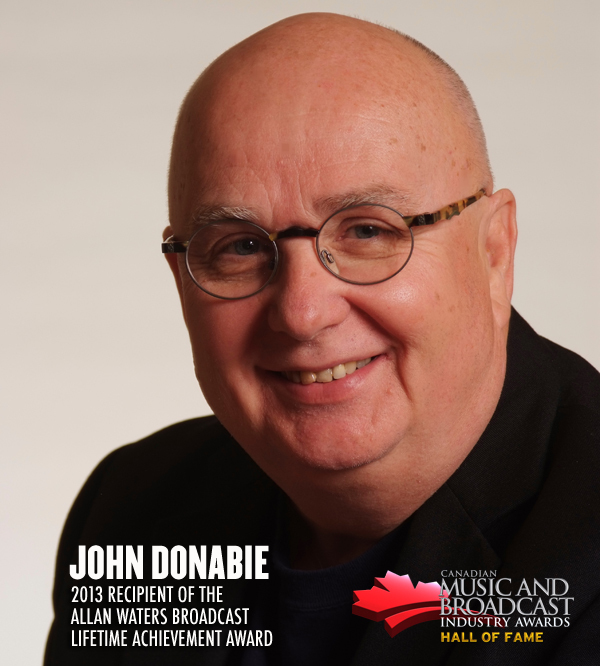 TORONTO, ON – (October 23, 2012) – Canadian Music Week is proud to announce John Donabie as the 2013 inductee to the Canadian Broadcast Industry Hall of Fame. 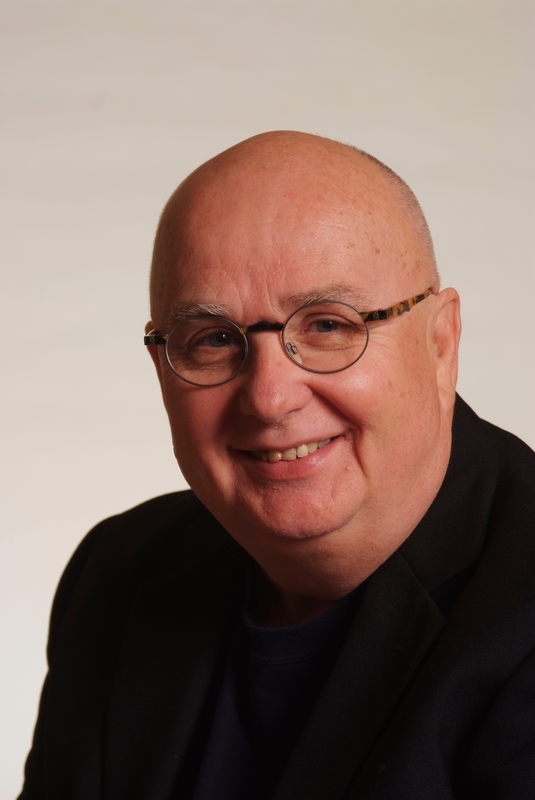 A 47-year veteran of the Canadian airwaves, Donabie will be honoured for his achievements and longstanding career in broadcasting with the Allan Waters Broadcast Lifetime Achievement Award. The induction ceremony will take place during the Canadian Music & Broadcast Industry Awards gala on Thursday, March 21, 2013 at the Koolhaus in Toronto. “John Donabie has given so much and has been so supportive of the Canadian music industry that he should be welcomed into the Hall of Fame with open arms,” said former CHUM Chairman, Jim Waters. “I am proud to call John a friend and I am pleased to honour his distinguished broadcasting career with the Allan Waters Broadcast Lifetime Achievement Award.” “I am deeply honoured to be receiving the Allan Waters Broadcast Lifetime Achievement Award from Canadian Music Week,” said John Donabie. “I had the honour of working for Mr. Waters for eight of my 47-year career at CHUM-FM.” John Donabie’s voice first boomed across Toronto-area airwaves from CKLB in Oshawa in 1965. Within 18 months he found himself in Canada’s number one radio market, first working for Foster Hewitt at CKFH then Bob Laine at CHUM-FM. It was here at CHUM-FM that John crafted his art of interviewing – a skill that would later coin him a musicologist and find him chatting with the likes of B.B. King, ZZ Top, Ella Fitzgerald, Tony Bennett, Elvis Costello, Meatloaf, Van Halen, Brian Wilson, Bob Dylan, and the late John Lennon. 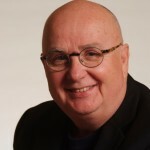 Instrumental in the launch of Q107 in Toronto, Donabie brought the station instant credibility through his extensive music knowledge and interviewing skills. 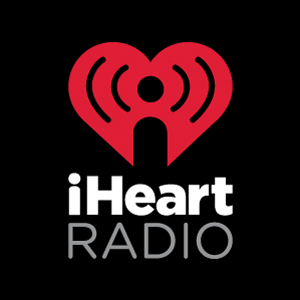 A 15-year stint with talk radio frontrunner CFRB reinforced his radio career and reputation as one of the country’s best communicators and most relatable voices on-air. A consummate broadcaster, Donabie hosted the CBC television network series “Afternoon Delight” and has contributed to CTV’s “Canada AM” as well as CBC Radio’s “Morningside”. He had the distinct honour of hosting the John Lennon memorial service at Toronto’s Nathan Phillips Square, whom Donabie had interviewed twice before. He has also taught “The History of Popular Music” at Seneca College where he continues to lecture, as well as Humber College. Today, after a stretch with Jazz-FM in Toronto, Donabie is concentrating on voice work and as a self-described techie, is keeping savvy in social media. Tickets for the Canadian Music and Broadcast Industry Awards gala dinner are available for purchase through the Canadian Music Week website at www.cmw.net. ABOUT CANADIAN MUSIC WEEK: Canadian Music Week is Canada’s leading annual entertainment event dedicated to the expression and growth of the country’s music, media and entertainment industries. Combining four information-intensive conferences; a trade exposition; a film festival; a comedy festival; four awards shows and the nation’s largest New Music Festival – Canadian Music Fest – CMW spans a six-day period from March 19 to March 24, 2013 at the Toronto Marriott Downtown Eaton Centre Hotel and over 60 downtown Toronto venues, attracting participants from across the globe. For more information, visit www.cmw.net.